Watch full Attack on Titan Season 2 Episode 5 English Dubbed full HD online. Attack on Titan Episode 30 English Dubbed online for free in HD. During their winter training as cadets, Krista and Ymir get lost in the mountains while saving fellow cadet Daz during a blizzard. Ymir accuses of Krista of having a death wish rather than saving Daz for selfless reasons. She also reveals she knows that Krista is an illegitimate child of a nobleman’s mistress who was forced by the Wall Cult to change her name and join the army as she was unwanted by everyone. Telling Krista that they are both similar people who were given a second chance in life, Ymir helps Krista bring Daz to their camp and makes her promise that if she ever revealed her secret, Krista should live her own life and use her real name. Back in the present, Ymir in her Titan form fights off the other Titans as Reiner and Bertolt recognize Ymir as the Titan who ate their childhood friend in the past. Realizing Ymir is trying to prevent the Titans from destroying the tower they are on, Krista tells Ymir to destroy the tower instead in order to crush the Titans. Having done so, Ymir orders Krista and the others to grab on to her as the tower begins to collapse. Despite this effort, the Titans are unfazed and overwhelm Ymir; only the timely arrival of Hange and the other Scouts saves their lives. 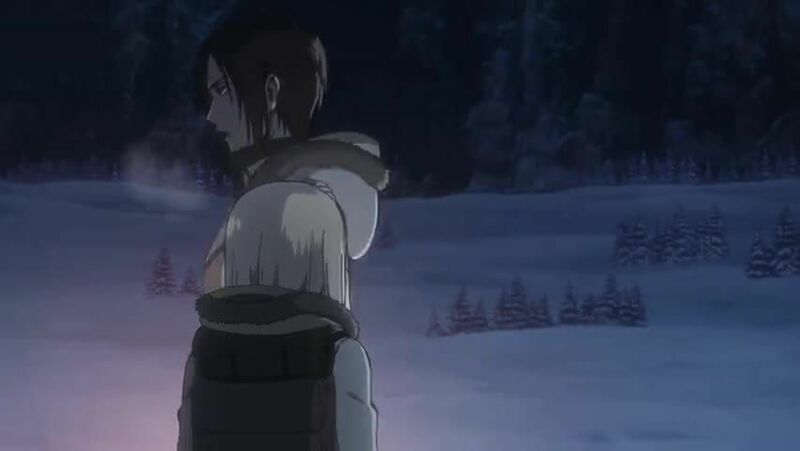 With the battle over, Krista attends a gravely injured Ymir as the rest of the 104th Trainees learn Ymir is a Titan Shifter. Krista reveals to Ymir that her real name is Historia just before she loses consciousness.